We have a strong and dependable Wi-fi signal (free). 5mph speed limit on lake. Dogs may not be left alone in RV when you leave the park, even for short trips like getting groceries. The location is nice and the staff are friendly and helpful; however, when a park states that they have wifi, it should be decent wifi. There was a bait and switch to the wifi; if you want "high speed" the charge is $1.95 an HOUR! The "slow speed" (their words) was miserably slow. And don't go with out texts because that's how you sign in, receiving a text of your sign in number. I had just gotten a phone with texts right before leaving to go there. The manager told me when we were leaving, that she was going to talk with their internet guy about getting more bandwidth, so it may be better soon. At night the gates are locked, so security was good. We were given a key, after a $5 deposit, so could get in the couple of nights we were out after 9 pm, when the gates are closed and locked. Would have been nice to have a children's playground, for when our granddaughter came to visit, but we were told it had been taken out some time before and not replaced. We are self-contained, so didn't visit the restrooms. This a quiet park, friendly staff, great place for kids and pets. Wifi is basic, just for email and such. It has some paved sites, and some grassy sites, with varying degrees of leveling. It has restrooms, which we didn't use, and a ball field, and volley ball net. The lake is available for fishing and boating, and town is 5 minutes away, so shopping and laundry is easy. We enjoyed our stay and would definitely return. This is a small, quiet city park in Watsonville, CA. The staff are warm and friendly. Sites are grass, with full hookups. Very nice for the price. Felt very safe and secure. Beautiful area with beaches, shopping, eating within minutes. We stayed at Pinto Lake Park Camping ground for a month. Nice clean quiet place to stay. I liked their green grass well maintained. Wifi was complementary but it was not strong enough. That was the only con. We will be back in the future. Beautiful surroundings and very clean. Lake has lots of wildlife with rental boats available during the day and is very peaceful. The staff are very friendly and welcoming. Nice spot by the lake. Clean, quiet and helpful owner. Perfect campsite and a good nights sleep. Peaceful location with loads of geese, ducks...and even hawks! Clean showers that never run out of hot water. Friendly staff! 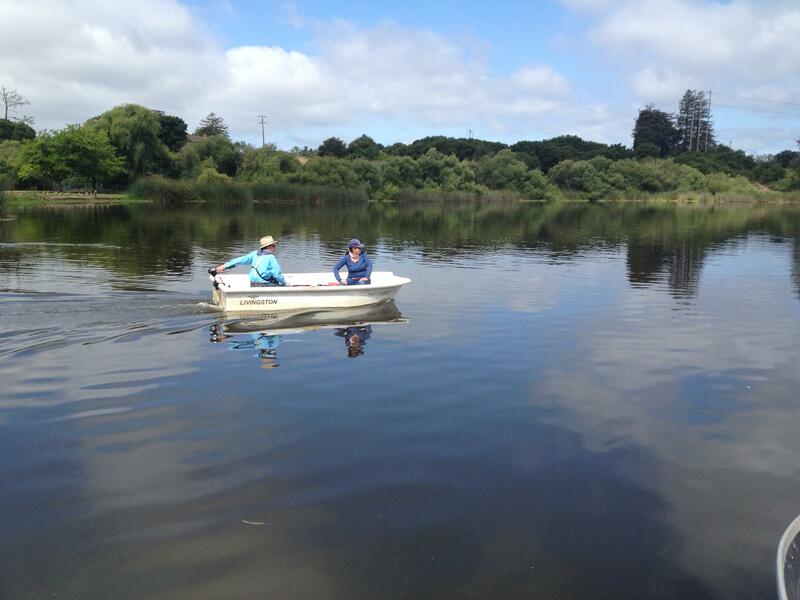 Great and economic location for exploring Moss Landing, Santa Cruz, Monterey, and Carmel! We will be back for sure! Laundry on site with newer machines...bonus! We stayed here for 2 days. The park was quiet and near a lake. The staff was great and helpful. The park was also clean and well-maintained. Centrally located for daily visits we took to Santa Cruz and Monterey.